Festival 2019 will be held at Benton First United Methodist Church on February 23, 2019. We are delighted to announce that our clinician will be Sondra Tucker! We have been too long inviting Sondra to return to Arkansas, and are happy to remedy that now. Sondra is a well-known composer for handbells, for choir, for organ, and for flute ensemble. Since 2013 she has served as Handbell Editor for Alfred Handbell. She is in demand as a conductor and clinician, and has led denominational seminars for PCUSA, The Christian Church (Disciples of Christ), the United Methodist Church, ELCA, and the Southern Baptist Church, and has served on the faculty of numerous Handbell Musicians of America local, area, and national events. Her compositions are published by most major church music publishing houses. She is active in music circles of her hometown, Memphis, Tennessee. Her music degrees are from the University of Arkansas and the University of Memphis. 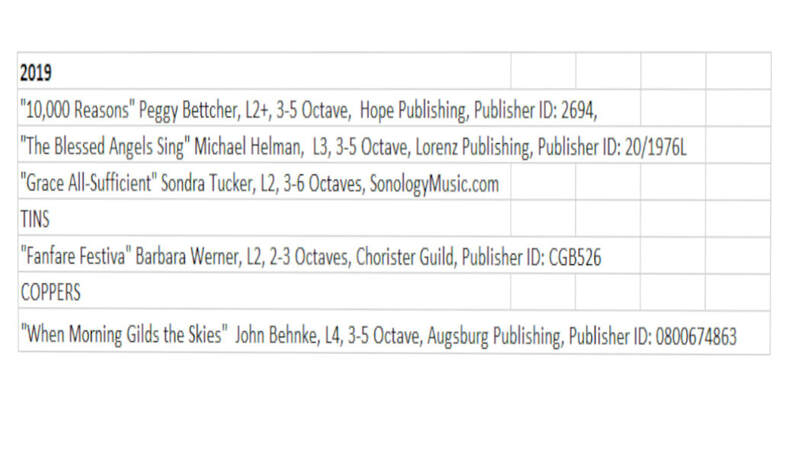 Additionally, Sondra self-publishes flute ensemble music under her own QuickSilver Publications imprint and handbell titles under her Casa Publications. Away from music, Sondra is an avid knitter and motorcycle rider. She is married, with two children and two granddaughters. Below is the music selected for Festival 2019. Online registration is available NOW!